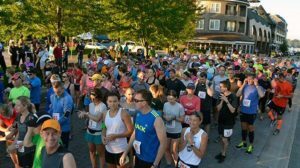 The Little Traverse Half Marathon and 10K Run/Walk is Saturday, October 1. Trout Creek is a proud sponsor of this great event and we would love to have you stay with us! This event is fast, flat and fun! Join in on a unique point-to-point course around Little Traverse Bay from Bay Harbor to Harbor Springs. Incredible views of Lake Michigan, a diverse and historic route, and a finish line at the waterfront make this a "must-do" race experience. Save 10% on lodging rates when you stay in a comfortable, beautiful condominium with all of the comforts of home. Relax in the hot tub at the fitness center after the race. Bring your friends and save when you share a condo. $222 per night in a one bedroom condo (includes all taxes and fees), based on a 2 night stay. Larger condos and one night stays available. Please ask for details.